Off-White has become one of the most visible brands on platforms like Tumblr and Instagram and celebrities like Beyoncé and A$AP Rocky. 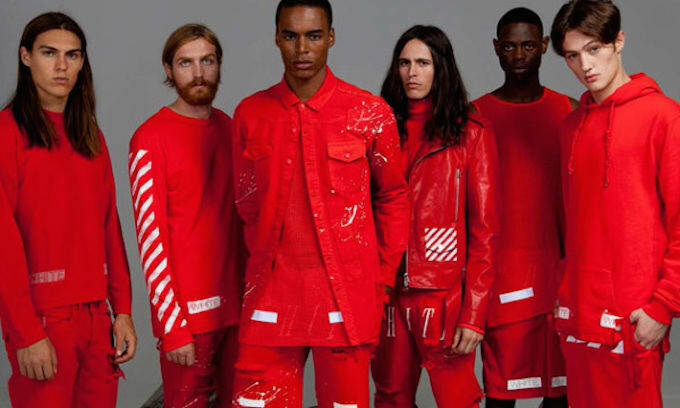 Virgil Abloh's unification of streetwear silhouettes with Italian factories flips the high-low mix into the manufacturing process. The goal is to generate enough clout to create a modern luxury lifestyle brand (à la Martha Stewart or Ralph Lauren), that legitimizes staples like graphic tees, hoodies, and patched-out army jackets. Abloh also made the jump into womenswear with the collection “I Only Smoke When I Drink,” applying his graphic tastes to buttery leather jackets and fringed coats that vibe with certified "cool fashion girls" like Sky Ferreira.